I've heard that before and my wife heard it from me when I bought my last 2 bikes. 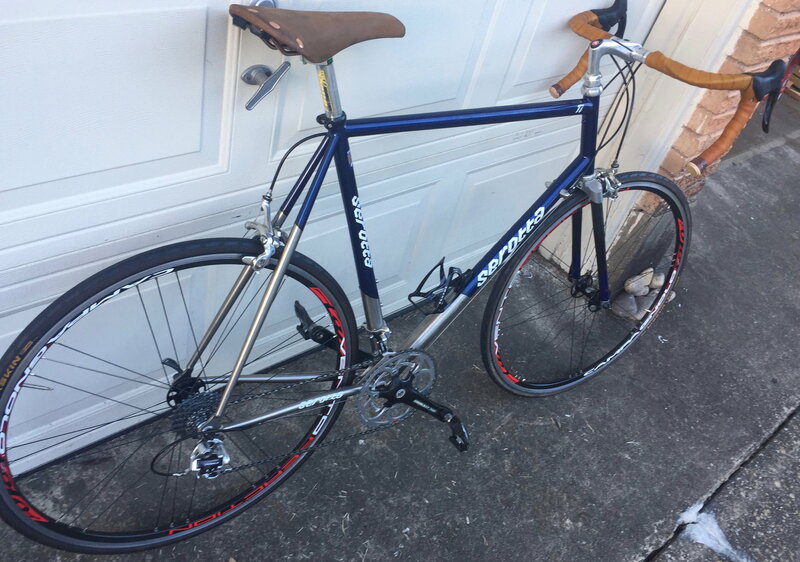 But sadly I think my latest purchase is my last bike. 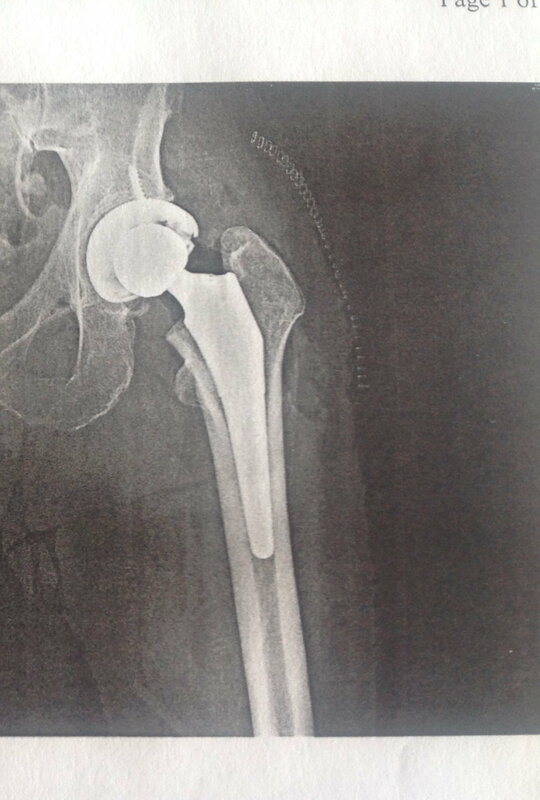 Here's my titanium. Just got in March 21st. 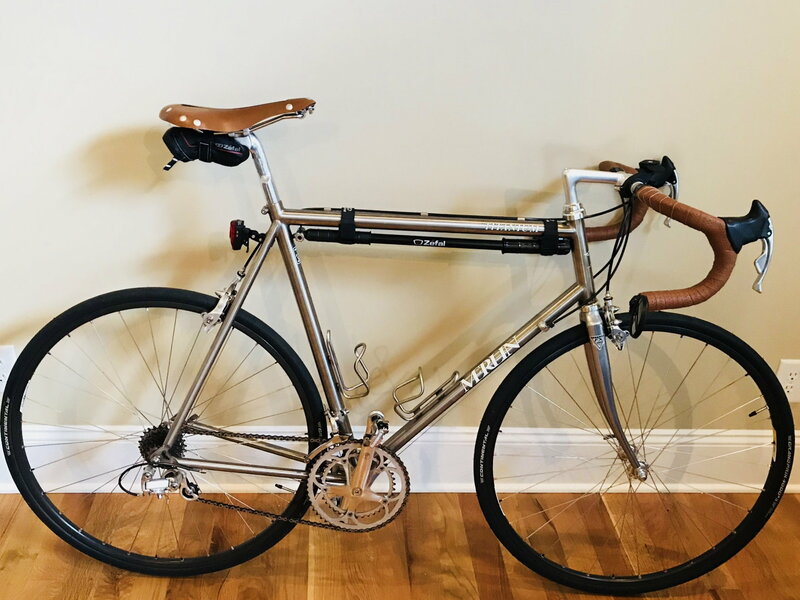 My forever Ti bike...a new to me 1992 Merlin “Road”. 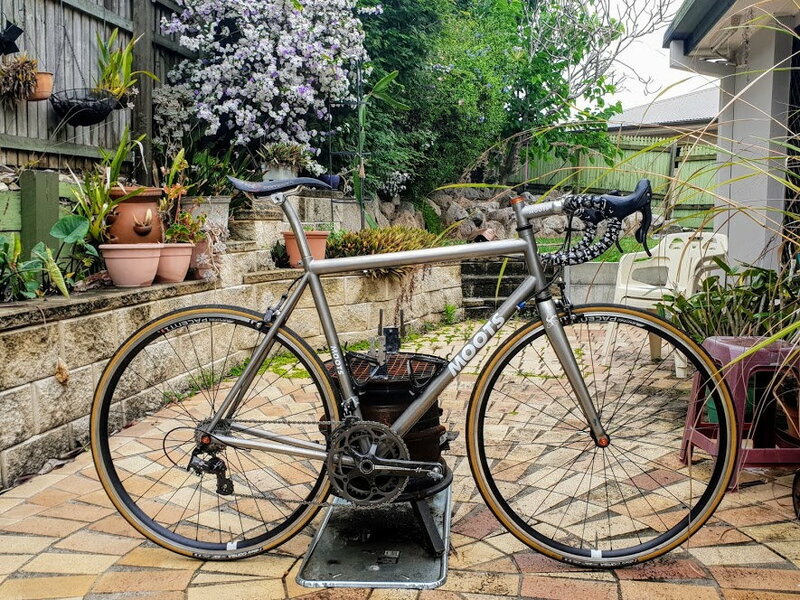 I have a few Titanium bolts , and a set of Mr Grumpy Cantilever brakes with Ti parts. My shoulder showing my titanium humeral component way out of line with my socket. 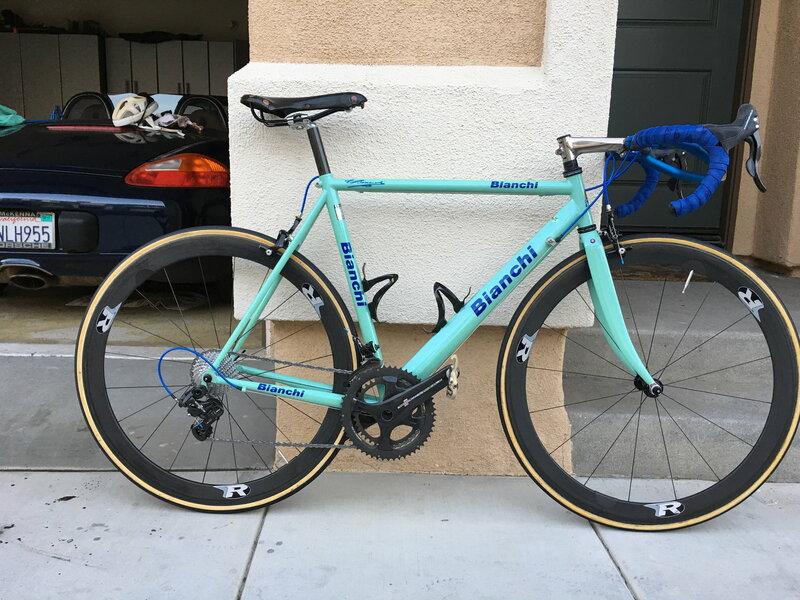 2012ish Motobecane Fantom Cross Ti. 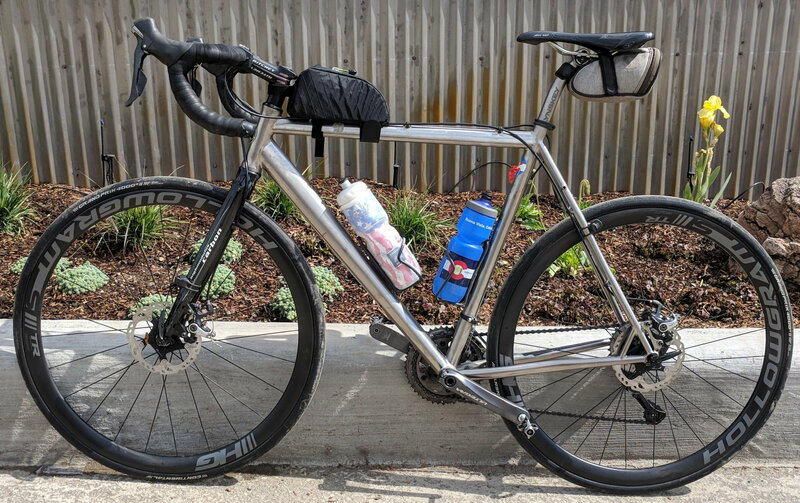 I also have a Litespeed MTB. 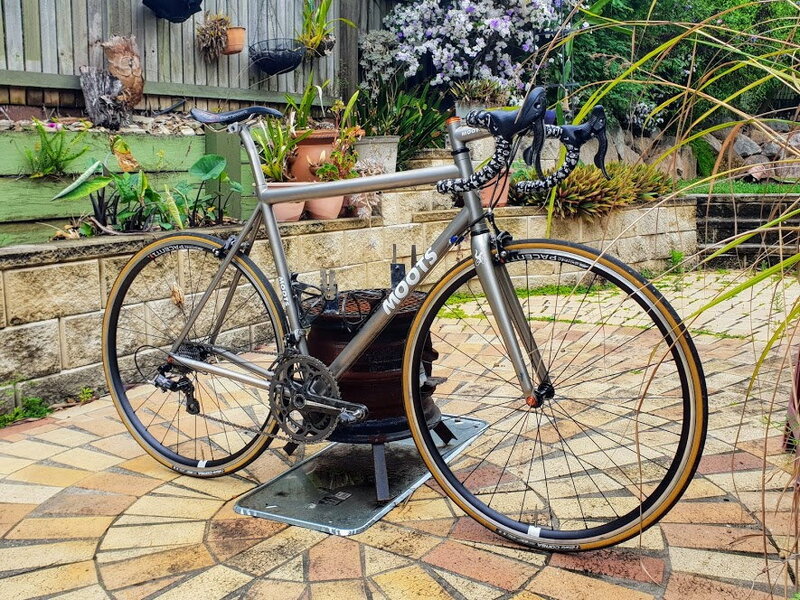 I had a Litespeed road bike....wish I hadn't sold it.